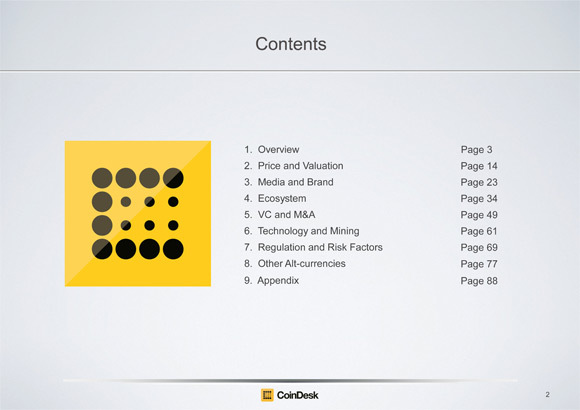 This is something interesting that help people that are not to the whole Bitcoin and crypto currency thing to get up to speed with what is going on and what new trends are emerging – the State of Bitcoin 2014 report by CoinDesk. This is not a “what is Bitcoin” or “how to mine” type of guide, but instead is an overview of key crypto currency trends, challenges, and opportunities, while also highlighting the most important developments over the last year. If you are new to the whole world of Bitcoin and other crypto currencies this report in PDF format may give you a good short overview of the market and trends, and give you some pointers to what more you should read and ask more experienced people about. Note that we are also here to help with any questions or trouble that you may have when it comes to crypto currencies as we believe that information and knowledge should be shared and we are already doing it here by sharing our knowledge and experience in the world of crypto currencies.